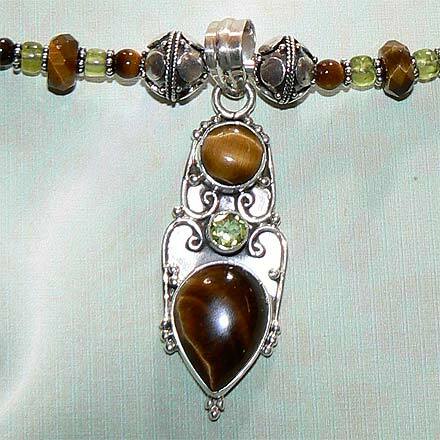 Sterling Silver Tiger Eye and Peridot Necklace. See Closeup. 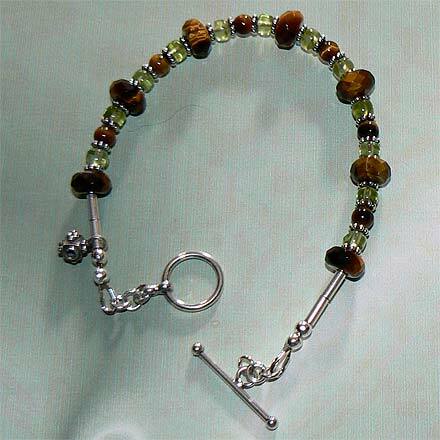 Sterling Silver Tiger Eye and Peridot Bracelet. 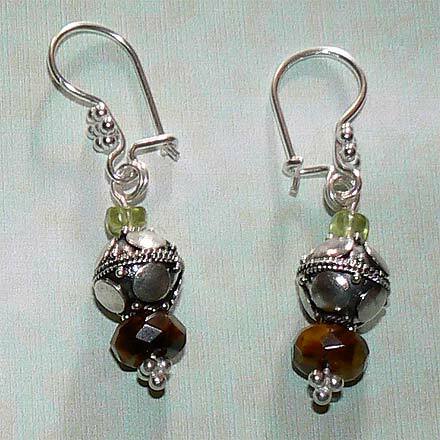 Sterling Silver Tiger Eye and Peridot Earrings. 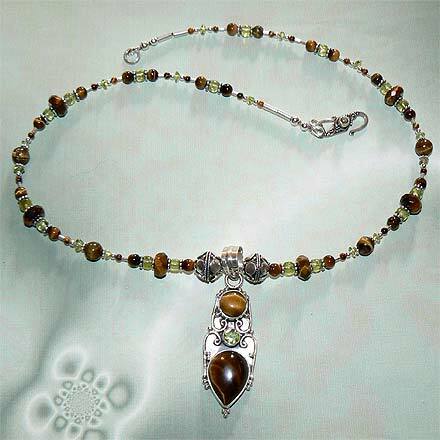 Faceted Golden Tiger Eye beads interspersed with little Peridot gems and Bali beads. For those who are interested in Astrological significances of stones, Tiger Eye corresponds with Capricorn and Peridot corresponds with Libra, and with the month of August.